Jonathan Rotenberg is a partner in the Litigation practice. With more than a decade of high-profile experience, Jonathan specializes in defending domestic and international corporate clients and their officers and directors in claims brought under the Securities Act of 1933, the Securities Exchange Act of 1934, and other federal and state securities laws. He also represents companies and their fiduciaries in connection with stockholder books and records demands, derivative demands, and derivative actions. 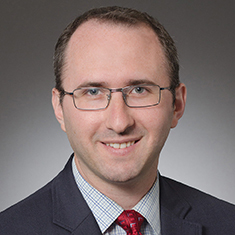 Jonathan has developed a notable specialty and achieved considerable success as a securities and financial services litigator, representing clients in virtually every economic sector. He has also represented an array of financial institutions, including private equity funds, hedge funds, real estate lenders, investment banks, and commercial banks in both state and federal courts. He also advises clients on Hart-Scott-Rodino pre-merger compliance, having advised both institutional and individual clients on more than 50 deals in the health care, pharmaceutical, telecommunications, data management, insurance and sports industries. Successful representation of former officers of a US public company specializing in innovative green energy technology against a liquidating trustee's claim of securities fraud. A statute of limitations argument under the discovery prong of the Supreme Court's 2010 Merck v. Reynolds decision persuaded the court that dismissal of Katten's clients was warranted; the US Court of Appeals for the Second Circuit unanimously affirmed. Representation of a Cayman Islands fund defendant in a shareholder derivative complaint alleging breach of fiduciary duties. The case raised unique questions under Cayman Islands law that had only been addressed by a handful of US courts, and never by a federal or state appellate court. Successfully persuaded the judge to dismiss the action for lack of standing under Cayman Islands law, and crafted the brief that won affirmance in a case of first impression among US appellate courts. Representation of a financial institution seeking recovery against principals of a borrower under a "bad boy" guaranty; Katten obtained summary judgment and the decision was affirmed on appeal.